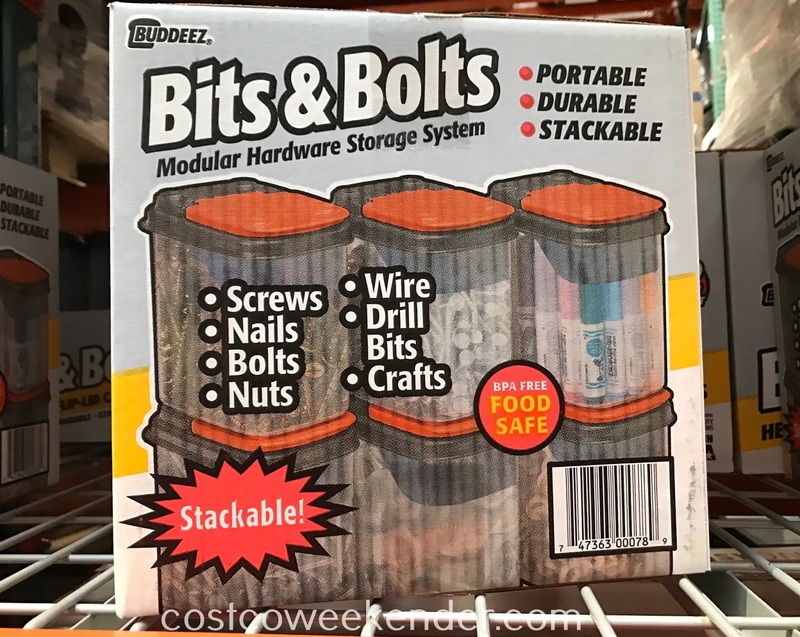 If you like to work in the garage, you're bound to come across the problem of storing any loose items like extra nails, screws, bolts, bits, whatever. 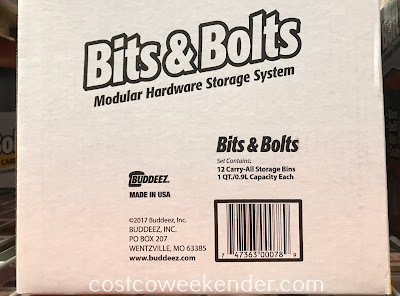 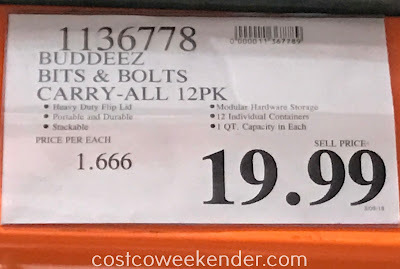 So thankfully there are the Buddeez Bits & Bolts Carry-All Storage Bins from Costco. The Bits & Bolts Carry All Storage Bins are portable, durable and more importantly stackable. 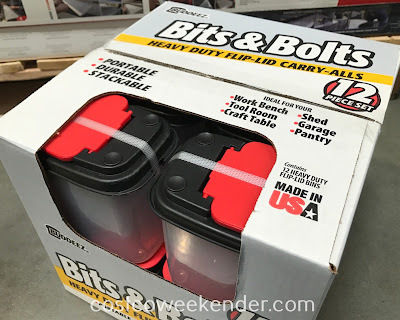 It's ideal for the work bench, tool room, craft table, shed, garage, pantry and much more. 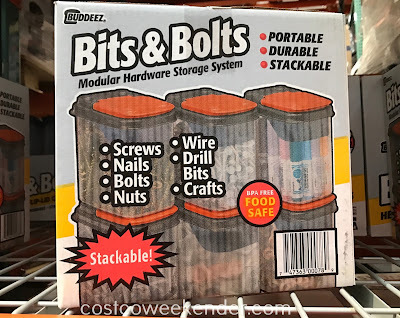 And since it's BPA-free, it's safe for food like cereal, nuts, flour, etc. 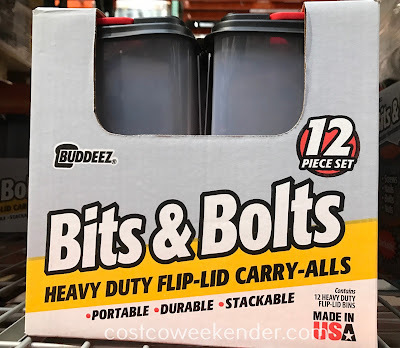 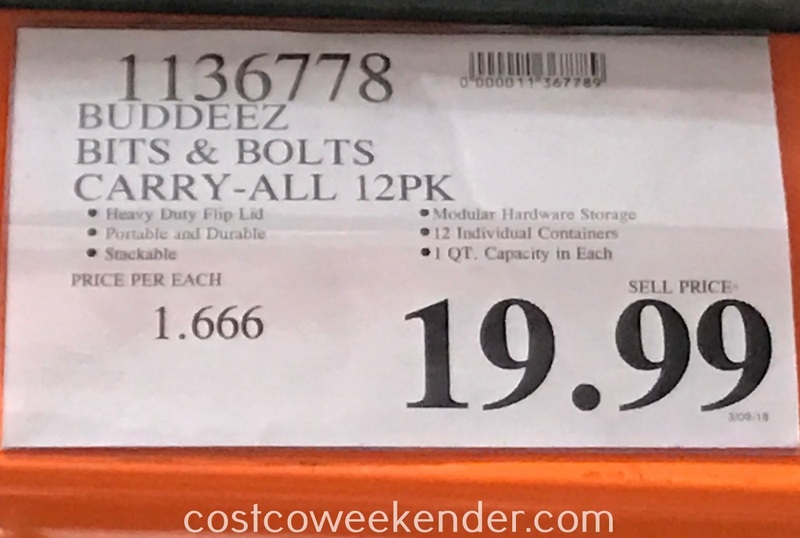 So keep your life organized with the Buddeez Bits & Bolts Carry-All Storage Bins.